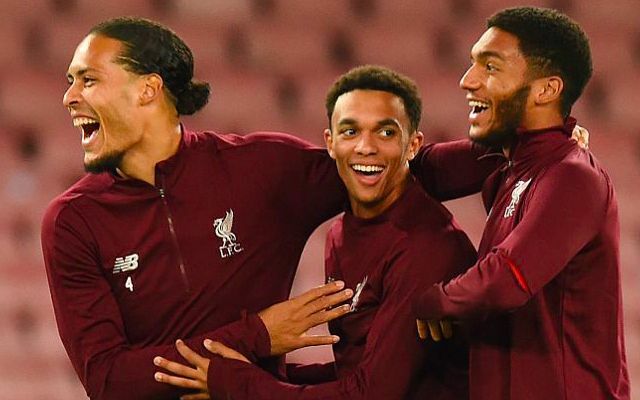 We’ve lost count of the number of new contracts Trent Alexander-Arnold has signed over the past few years! He signed a big one in July 2017, then got improved terms in April last year. Now, he’s on the precipice of a proper deal. Dom King of the Daily Mail stated that following Andy Robertson’s reward of a five-year extension, Liverpool’s young right-back is next in line, with Mo Salah, Roberto Firmino, Virgil van Dijk, Alisson and Sadio Mane all tied to the club for five years themselves. This is great news. Our rivals Arsenal consistently lose their best players due to an inability to sign them to new deals, and while Emre Can did depart on a Bosman last summer to Juventus (where he’s barely played), our organisation when it comes to player contracts is superb. It’s a great thing for Jurgen Klopp not to have to worry about, in short. Trent is out for the next few weeks, annoyingly, with James Milner set to deputise for him at right-back after Nathaniel Clyne was loaned to Bournemouth. But the scouser should be back in action early next month and we think we’ll do just fine without him for the time being.